The author brings his best work and shares it to his collection titled “Through the Eye of the Needle.” This book expresses the ups and downs of life and appeals to a variety of readers. "Poetry is metaphorical speech that helps all of us make sense of this enigmatic existence." Glade Myler channels his appreciation for the world through his heartfelt poetry. In his collection, he expresses the wisdom and insights that life has taught him through the years and openly shares them to touch the hearts and minds of his readers. Being multi-lingual, Myler also shares his pieces in Spanish and Portuguese. The work has photography to accompany many poems, which is the work of his wife, Carolyn. 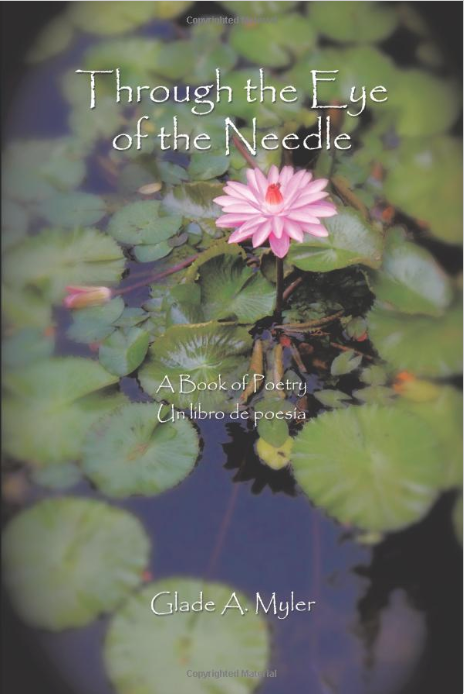 “Through the Eye of the Needle” features a modern and universal collection of sonnets. The author expresses his thoughts in this form as it has the power to better express himself in a poetic yet succinct way. Touching on themes such as love, family, relationships, self-discovery, and many others, this collection also emphasizes the triumphs and challenges of life. Myler’s heartfelt and inspiring collection will soon be joining the upcoming 2019 Los Angeles Times Festival of Books on April 13-14, 2019. “Through the Eye of the Needle” will be on display along with many other great titles from different genre types. This is truly an affair that should not be missed! Glade Myler was born in Logan, Utah, in 1947 and raised in Cornish, Utah. He served a mission for his church in California, where he worked with the Hispanics and learned Spanish. He married Carolyn Morgan in 1970. In 1971, he graduated from Utah State University with a BA in Spanish and minors in English, German, and music. After graduation, he worked in a business for a number of years and then obtained a Juris Doctor from Brigham Young University in 1981 and has worked as an attorney for over thirty years in various governmental agencies. He is currently semiretired from the law. He has five children and fourteen grandchildren and has lived in Carson City, Nevada, for nearly thirty years. He speaks four languages: English, Spanish, Portuguese, and German, in order of fluency. He reads those languages and speaks some French and Italian and reads both. He began writing poetry in college at USU but became serious about it in the 1980s. He is also involved in music and plays the organ for his church and directs the church choir.